The Best Way to See Laval Flow! 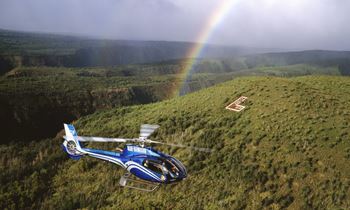 An exclusive opportunity to explore and experience Hawaii’s only active volcano, join Discover Hawaii Tours on our Hawaii Volcano Eco-Adventure and Helicopter Tour! 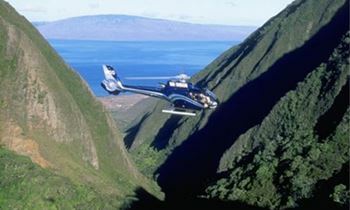 This adventure includes an aerial tour of Hawaii Volcanoes National Park and Mt. 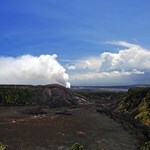 Kilauea, plus a guided ground tour of the volcano with our expert tour guide. 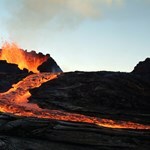 View active lava flows that are not accessible on land, and fly over the massive summit of the volcano, plus visit the incredible sites of Hawaii Volcanoes National Park. 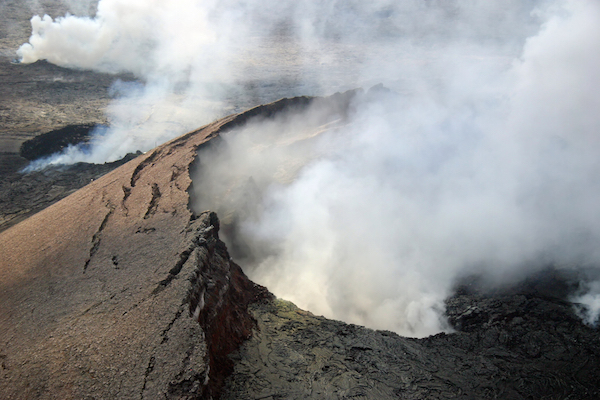 The chance to discover Hawaii’s only active volcano should not be missed, and the opportunity to see the volcano from two vantage points is not available anywhere else. Seats on this one of a kind tour are very limited and filling fast. Book your tour today! If you have never used airbnb, get up to $40 credit for your first stay! 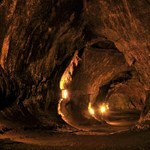 M, Tu, W, Th, Sa 8:00 AM 14 hours 30 minutes Transportation to the KAHULUI Airport is NOT included. Please keep in mind that due to airline tickets restrictions, all tours which include airfare are non-refundable once the reservation is purchased. Airline tickets are non-changeable and non-transferable. While we can usually accommodate most last-minute bookings, we highly encourage those that are checking out our website far in advance to book 2-3 weeks prior to desired date. You never know if there's a convention, special event, or a increase in overall visitors in town, and it would be a shame if the activities that you want to do are sold out because you waited until the last minute. Basically, if you know you want to do it, just book it! What sets your company apart from the others? We take great pride into making your experience with us perfect. From the moment you begin considering Discover Hawaii Tours to your final drop-off with our tour guides, we go to great lengths to make sure your day is worry-free and that you get to experience the best of Hawaii. Our tours operate in smaller buses, allowing for more stops, getting you closer to the best spots, and giving you a more intimate experience. How do we know who is picking us up? Transportation to the KAHULUI Airport is NOT included. Please keep in mind that due to airline tickets restrictions, all tours which include airfare are non-refundable once the reservation is purchased. Airline tickets are non-changeable and non-transferable. 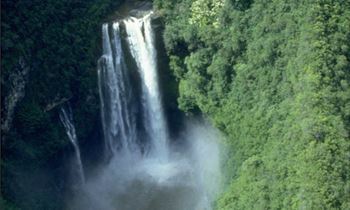 How long has your company been giving guided tours of Hawaii? Founded in 1995, we have been operating without causality or major accident for more than 15 years. Your safety, satisfaction, and input is a way of life for our company. I have special requests for my tour, can you accommodate them? During the booking process online, there is a ‘Message’ box where you can let us know of any food allergies (when lunch is included), special occasions, requests, and any other important information that you feel is necessary. We take your tour personally, so rest assured that we will do our best to make sure that your requests are met and your tour is a perfect experience. 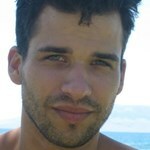 What kind of training do you offer your tour guides? Our tour guides are our main assets to us, and you. After completing an intense 2 week training course in driving safety, Hawaiian culture, United States and Hawaiian History, customer service, and First Aid and CPR training, they become Hawaii's Ambassadors of Aloha. Can your vehicles accommodate wheelchairs? At this time, our vehicles can accommodate collapsible wheelchairs only. We do not have a wheelchair lift. We ask that you let us know at the time of booking your tour that you will be traveling with a collapsible wheelchair so that we are able to make sure you are fully accommodated. Are there restrooms on board or scheduled bathroom stops? Yes, we have scheduled bathroom stops along the routes that coincide with scenic lookouts, beaches, and other stops and attractions throughout your tour. Should you require additional stops please let your tour guide know at the beginning of the tour and we will be more than happy to accommodate your request. I have a medical condition, is it safe to go on tours? For your safety, please check with your doctor and find out if there are any limitations to your touring. 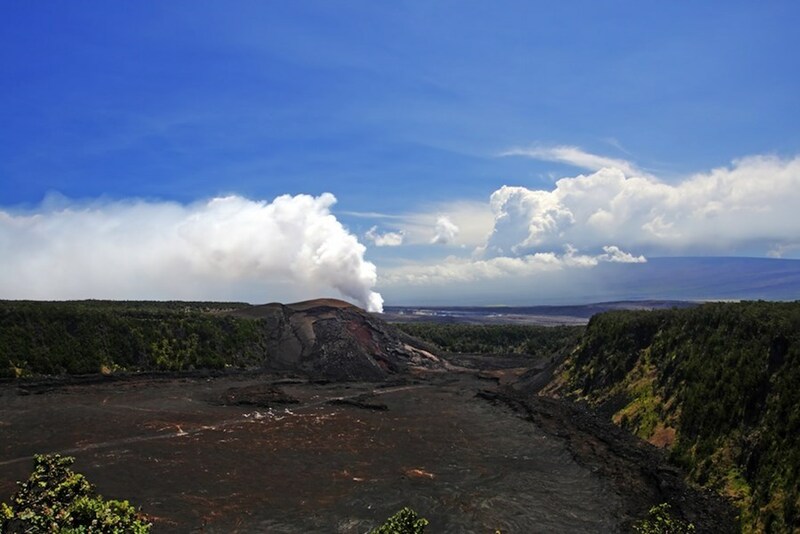 Some sites have more medical concerns than others, like the Volcano on the Big Island, so be sure to find out of any restrictions you may have and we need to be aware of. Do you have any experience working with Seniors and Infants? Yes, we have been working successfully with travelers of all ages since our inception and we wouldn't have it any other way! We do ask parents to keep their children under control at all times for the child’s safety and the enjoyment of others. Hiking tours are not recommended for infants, toddlers, and seniors who may have trouble climbing uneven terrain. What time does the flight leave from Kahului airport? Around 8am. Exact time you will need to be at the airport will be included in the confirmation email. Instead of flying back to Maui, could we schedule to fly back to Oahu after the tour? All flights make a stop on Oahu in which I guess theoretically you could get out of the plane. That being said, there's no luggage allowed on this tour, so unless you are flying without luggage this is not possible. How do you recommend us to get to the airport? Shuttle? Cab? What does no-host meal mean? The meal is included? No-host means that they stop to eat, but the food is not included in the price of the tour, you have to pay for it yourself. Tour routes and sights visited may vary according to wind and weather conditions. Airline flight times and Waikiki pick-up times subject to change. Because this tour involves inter-island flights, we are required by Federal law to provide the Transportation Security Administration the full names, date of birth and gender of all passengers. U.S. citizens must present a current government issued pictured ID and international visitors are required to have a valid passport. Regrettably, we are unable to refund any portion of the tour due to non-compliance of these federal regulations. Passengers in excess of 250 pounds may be charged an additional fee equal to one-half the tour cost. Passengers who weigh more than 300 pounds will be charged for an additional seat. 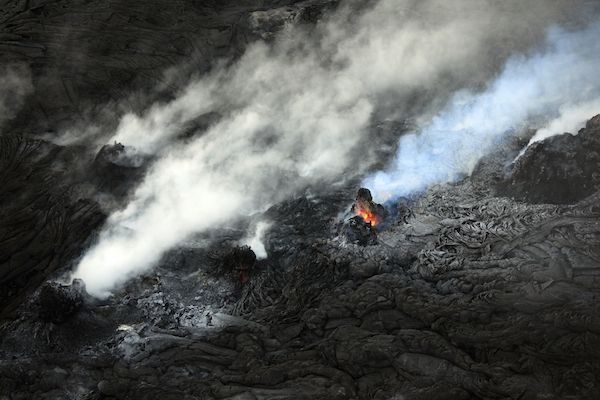 Volcanic fumes (VOG) are hazardous to your health. Persons with breathing and heart difficulties, pregnant women, infants, and young children are especially at risk should consult a health care professional before taking this tour to avoid potential health problems from exposure to fumes. All passengers are required to sign a release of liability form. 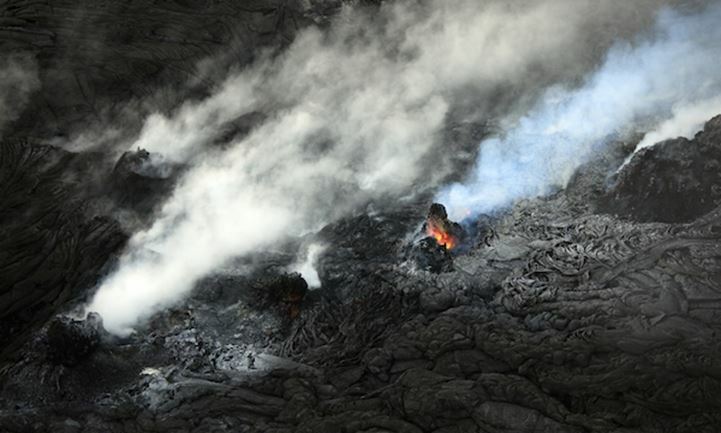 We cannot guarantee lava sighting. 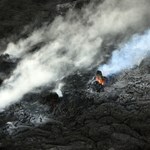 However, this year many of our tours experienced a lava sighting, so it is a possibility. 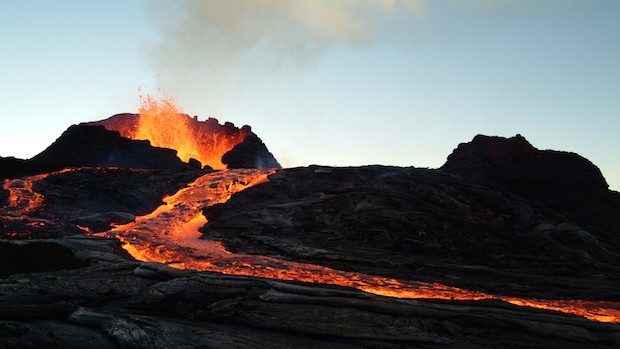 We cannot reimburse you if you don’t see lava, but we can tell you that this volcano tour is filled with tons of exciting stops and stories!